One of our favorite parts of decentchristiantalk.com is being able to talk about issues that matter. And one of those issues is poverty. We believe that taking care of the world’s orphans should be something the church should be a part of. And one of the organizations that does that is the Hands & Feet Project. I asked some friends of mine to share a recent experience when they visited the H&F Project this past summer. Please don’t just read this. PLEASE VISIT haitimade.com and support this great cause. You can find all sorts of Christmas gift ideas here all while supporting the H&F Project. As I sit here trying to process our trip to Haiti…. When we first learned of Mark putting together a team to Haiti with the Hands and Feet Project, I looked at my wife and we both knew we wanted to go. As long as God provided the funds, we were available to be used. It was super easy to get the funds together. As the trip approached, we had noidea what we would be doing. People would ask “What are you going to be doing there?” My response was the same-“No clue..I’m just going.” I was just happy to be called to go. God would use this team. My biggest challenge would be travelling. I don’t hate airplanes; I have no problems flying. Its all about the airport and time schedules. I always get stopped in security-usually an extra pat down, or a handswab, or luggage check. I always like to be early. If they say be there at 1, I’m there 15 mins early just to be safe. So when our connecting flight is only an hour after we land, that makes me nervous. Really nervous. Going through customs is even worse. When we finally arrived in Haiti, I was just happy to be there. I could finally relax. The stressful part of the trip was over. God took us through the entire situation and I could feel his presence through it all. When you get out of the airport at Port Au Prince, you finally get to see and experience a 3rd world country. You see the poverty. You see people desperately trying to feed their family. You see people living in their tiny house. I use that term loosely. These homes are nothing more than some cinder blocks and a tin roof-and that’s a really nice house in Haiti. Most homes are just tin walls or plywood with tarps used as a roof. My chickens have a nicer coop than most of these homes we saw. The amount of trash on the roads is astonishing. The fact that people would be walking on it, or sitting in it was unreal. There were numerous stray looking dogs and pigs rummaging through the trash looking for a meal. There were times we had to roll up the windows to keep the smell from overwhelming us. Going there, I knew the poverty would be bad, but it doesn’t really hit you until you see it. Until you experience it. We were blessed to stay at Grand Goave-aka Ikondo. H&F has an amazing location on top of the mountain. There was a cool gentle breeze every night to keep us cool (since there is no AC). It’s a really great view of the village from the 2nd floor rocking chairs. It was here we would meet every night for some down time, to express our thoughts on the days events, to dig into Gods word, and to hear storiesfrom team members on how God has brought them to Haiti. We heard Sean and Jennifer Moore story-the Moore’s are long term missionaries running the Grand Goave site. We enjoyed some movie nights and a game of spoons. The Moore’s had some minor projects for us to do. Nothing major. Plant some flowers, sew some curtains, make some bean bags, organize and scan 6 months worth of receipts, and cover the water tower in wood planks. Nothing special. They took us to a beach to swim, to enjoy some local seafood,and buy some souvenirs from the locals. Sounds something like a bunch of tourist would do. We bought from as many vendors as we could. This may have been their only chance this week to feed their family. We had some interaction with the kids that H&F cares for. We were able to interact with the transition kids since they stay at Ikondo, but the children at Thozin were away at camp for all but 3 days. Sean had told us not to be surprised if the kids don’t want to cling to you. They are not starved for attention with the family style support they give them. Sean says it’s a win for them. And he was right. They were not all over us. They were content and loved by H&F. As our week progressed, I noticed Mark and James interacting with the Haitians a little different than us. It was our first time-we were still learning the culture. We were just trying to figure out what was going on. Mark and James were able to interact because they had already figured out what was going on. It was really neat to watch them both in action. God has not forgotten the Haitian people. He is there and very active. When we got home to the states, it really took a long time to process the trip. Everyone was asking, “How was the trip? What did you do there?” I’m still struggling to find an answer. I didn’t have this great epiphany while I was there. I am struggling did we do enough to make a difference. Did we do enough projects to improve their quality of life? Were we a blessing to the Moore’s, to the Sutton’s and the other missionaries there? Did we help encourage them? I thought I went there with an open mind and just willing to do what they asked. And I did what they asked. No complaints. However, my pre-conceived notion of what a mission trip should be continue to haunt my thoughts. A mission trip should be hard work, improving quality of life by supplying food or building a water source or building a house. A mission trip should look like Bible lessons for the kids. A mission trip should look like fixing the problems people have and giving them Jesus. A mission trip should include sharing the gospel with everyone you see. A mission trip shouldn’t look like a trip to the beach to eat lobster. A mission trip shouldn’t be movie night with the kids or a game of cards. A mission trip shouldn’t involve the hired chef to cook our meals and do our dishes. Yet this is what we did. And we were a blessing to the Moore’s, the Suttons and the other missionaries. We did improve the quality of life. Not in the way I wanted to do it, but the way Jesus wanted us. We supported the local economy thru Haitimade Café, We bought from vendor just to buy from the vendor. We gave them a job to earn a living in a dignified way. It reminds me that we did enough. Yes, we had an amazing time in Haiti. Lives were changed-mostly our team. We went to Haiti with one world view and came home with another. This verse also reminds me that it does not stop with coming home. What does life look like now that we are home? What can we do to help? And when will get go back? When I went to Haiti the first time I had a naive notion that by moving bunk beds, painting walls, building cabinets, delivering supplies, and playing with kids, I was going to save Haiti and, while I was at it, the world, too. Well, lives did change, but, mostly, it was mine. I made valuable initial contacts with some of the kids, staff, and missionaries of The Hands & Feet Project and, surely, my team accomplished helpful tasks and delivered needed supplies in addition to playing with the kids. But, it was just my first taste of Haiti. I was overwhelmed by the beauty of the people, the dramatic circumstances in which they live each day, and the complexity and depth of Haiti’s plight as a country. I had yet to look deeper and really consider how it affected them as individuals on a personal level. 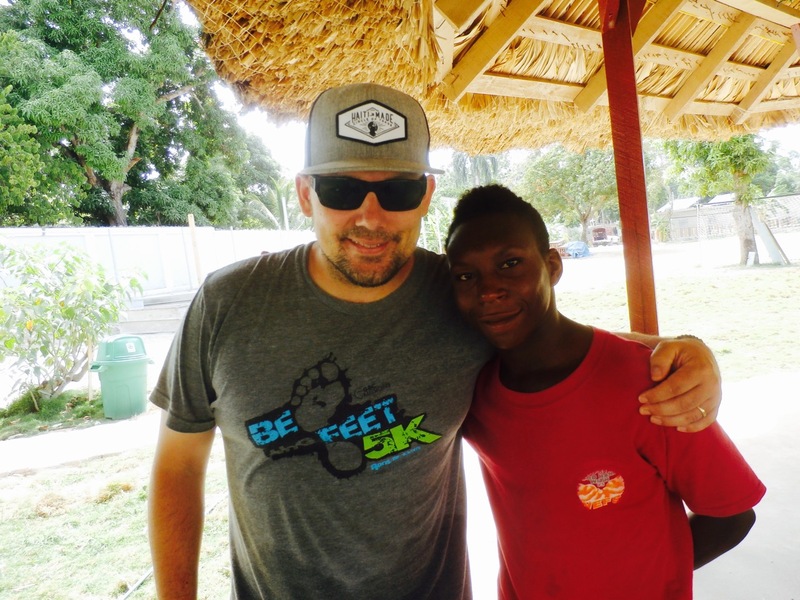 On the trip I made this past July, however, with the initial shock of third-world poverty that I witnessed on the first trip behind me, the experience of being in Haiti settled down more for me. 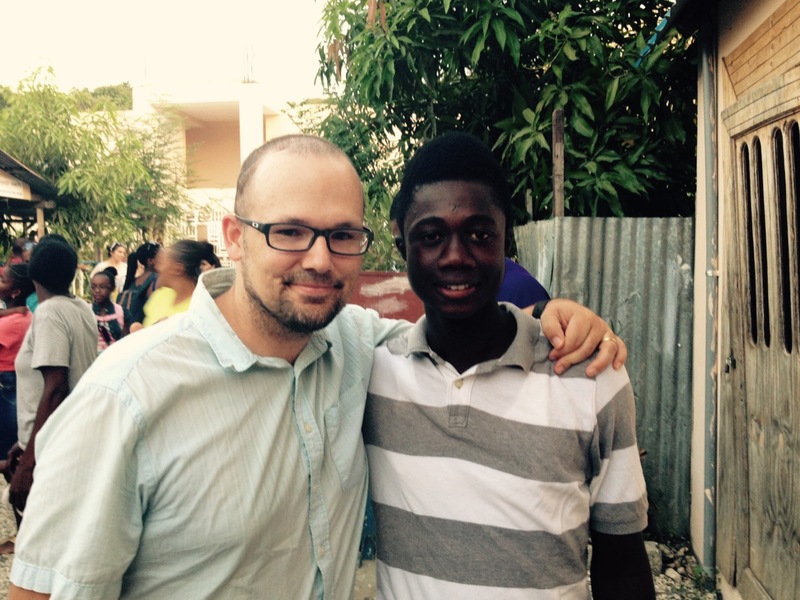 Time didn’t move as fast and I found myself with more opportunities to learn about the Haitian people as individuals. From the American missionaries that live, sweat, and serve full time on the ground in Haiti managing The Hands & Feet Projects Children’s Villages and the hired Haitian staff to the orphaned and abandoned children they care for, I was captured by their willingness to open up, extend friendship, and share time in conversation with me. 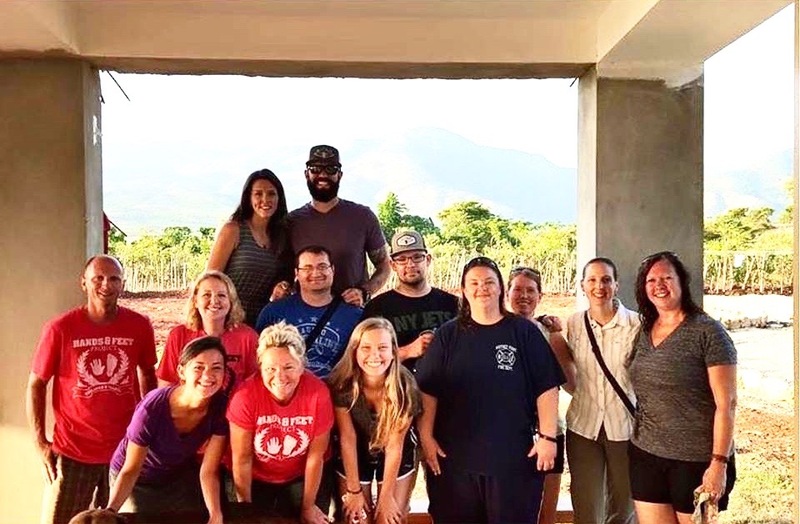 They blessed and challenged me in a manner far more profound than I could ever hope to benefit them with through my meager project-oriented efforts during a short-term mission trip. Joel and Romy, who have both been raised in the care of The Hands & Feet Project over the past ten years, are two of the young men that I spent time with over the course of the week. Both are extremely intelligent, friendly, and hard-working young men with real goals. One serves as a musician in the local church’s worship band while developing trade skills doing construction work and the other is pursuing additional English and additional schooling in the hopes of becoming a translator for The Hands & Feet Project. Both have opportunities available to them now as healthy, strong, and intelligent young men that they’d very likely not have without The Hands & Feet Project. Because of the chance to work, play, serve, and pray alongside the people of Grand Goave and The Hands & Feet Project, my hope for the people of Haiti has become less of a surface-level humanitarian outreach and more of a passion rooted in friendship with beautiful individuals that I pray can extend and deepen through future trips. But, it’s also important that I try to raise the awareness of my fellow Americans to who the people of Haiti really are as individual, unique, hard-working human beings and what they really need in order to move forward. By and large, the immediate needs, at least for those in the care and employment of the Hands and Feet Project, have been met. But, what Haitians don’t have, outside the walls of The Hands & Feet Project’s Children’s Villages, is hope for the future. The Haiti that each of the orphaned and abandoned children being raised by The Hands & Feet Project will face once they age out of orphan care will still likely be, as it is now, the poorest country in the western hemisphere, sorely lacking in education and employment opportunities. Despite all of the good work that short and long term missionaries do on a daily and weekly basis in Haiti now, the likely reality is that life in Haiti may very well be the same ten to twenty years from now for these kids as it is and was for their parents who died or abandoned them in the hopes that their children would have a better life in an orphanage where, at least, they would have food, shelter, medical care and, possibly, an education. It is this perpetual relationship that exists between lack of opportunity, desperation, and hopelessness that continues to feed the orphan cycle in Haiti. The Hands & Feet Project is, however, developing strategies to work toward a brighter future for their children and for the kids outside their walls in the local communities around their Children’s Villages. First, they established Haiti Made whose declared mission is, “to unite around quality products, economic sustainability, and dignified jobs to fight against Haiti’s orphan and child slavery crisis.” The older children of Hands & Feet that choose to take part, along with the hired Haitian staff, create handmade leather products, knit hats, and jewelry sold online through their site at http://www.haitimade.com and on partnering Christian music groups’ merchandise tables (e.g., Newsboys and Audio Adrenaline) at concerts and events around the U.S. If more Haitian families have stable income through employment, less parents will opt to desert their children into the hands of orphanages and child slavery. As Haiti Made’s website states, “Charity has its place and purpose, but we have found that when buying great products made by the people of Haiti, we enter into a meaningful exchange with them that brings lasting respect, hope and dignity.” Profits from items sold by Haiti Made are then invested back into The Hands & Feet Project’s Children’s Villages, new Haiti Made products, and the hiring of additional Haiti Made and Hands & Feet Project staff. 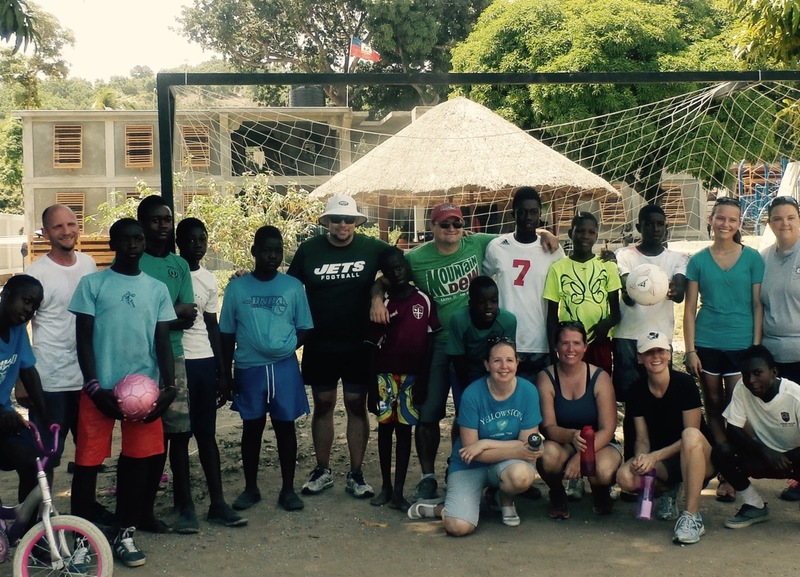 The Hands & Feet Project is also nursing a vision to provide comfortable accommodations on their property in Haiti to serve as a getaway tourist destination for groups to come enjoy and, at their discretion, engage in service projects with Hands & Feet and within the local community. The idea is that, if The Hands & Feet Project can provide comfortable accommodations with facilities and wait staff, they will be able to employ a significant number of unemployed Grand Goave residents while also feeding the local economy with tourist dollars. The mission village will also provide an opportunity, in addition to Haiti Made and a number of other apprenticeship programs they’re developing, for the older children of The Hands & Feet Project who choose, to develop valuable work skills and earn a legitimate wage, if they choose. The beauty of the people of Haiti is just as real as the country’s deeply-rooted economic and social problems. The Hands & Feet Project has sought, over the past eleven years, to fulfill the biblical mandate to care for orphans and love, “the least of these.” Now, in addition to orphan care, they’re working to weaken one of the major forces behind the ongoing orphan cycle: unemployment. But, they can do more with your help.